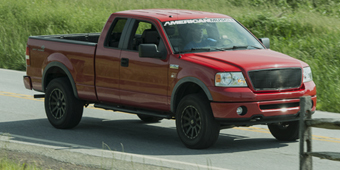 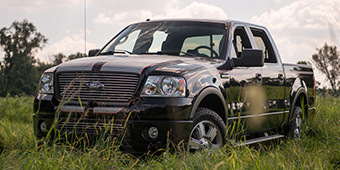 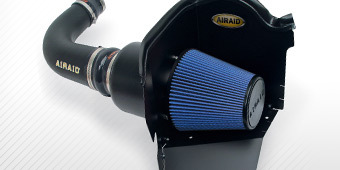 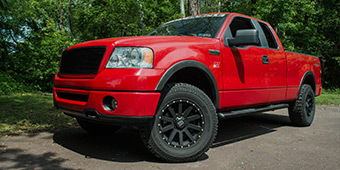 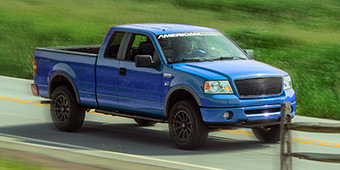 Bristling with red-blooded styling cues such as dimple punched wings and laser-cut off-road emblems, 2004-2008 F-150 bumpers bring a lot to the table when it comes to preparing your Ford pickup for the rigors of rutted dirt tracks or intense work. 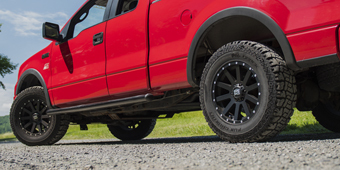 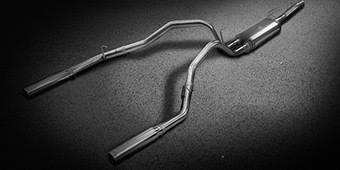 Manufactured out of 3/16” plate steel or other thicknesses, or tubular steel with a robust 0.120” wall thickness, these bumpers can withstand a lot of punishment on the trail and still remain intact, functional, and ready for more action tomorrow. 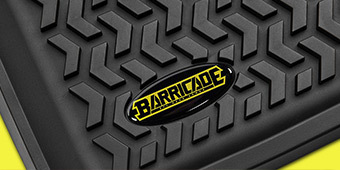 Many include laser-cut skid plates so that they’ll slide over obstacles rather than getting stuck on them. 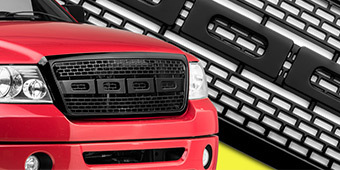 Most of these bumpers are fitted with an LED light bar or a mount where an LED light bar can be attached, providing strong forward illumination that amplifies the effects of your truck’s headlights many times over. 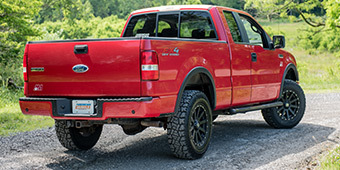 These bumpers are available with and without winch mounts. 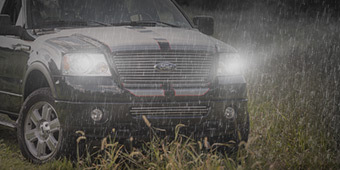 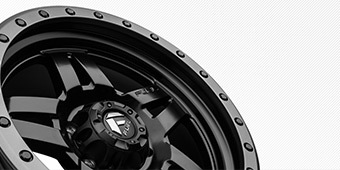 Those without winch mounts are a bit lighter and may include additional mounting positions for aftermarket LED lights. 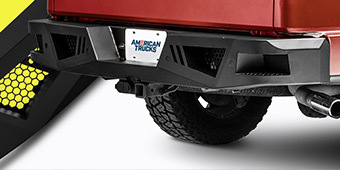 Those equipped with a winch plate can support one of today’s high quality recovery winches – with enough space for a winch of 10,500 lb capacity, or even 12,000 lbs or more in some cases, these bumpers provide the solid attachment point needed to drag your truck bodily out of deep mud, slick snow, pits or streambeds, or any other spot you get stuck – so that you can get on with your work or fun.